With the FPÖ, a party founded by former National Socialists, back in Austria’s government, the SKGAL followed an invitation to express current concerns and demands in form of protest banners in an exhibition in Vienna. 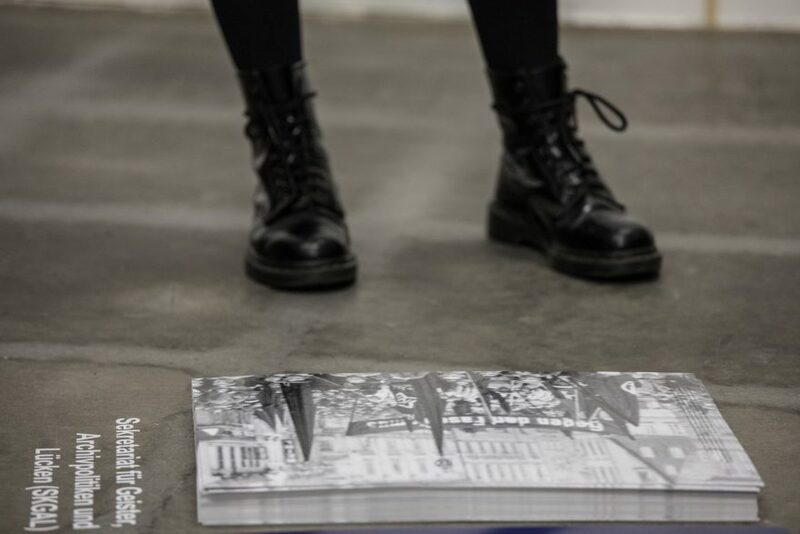 The SKGAL researched into the archive of the Association of the History of the Workers’ Movement in Vienna looking for images of protest against fascist practices in the 1930s. On its protest banner, the SKGAL shows a fragment of a photo of the 1933 Workers May Day march in Aš in Czechoslovakia. Across the border, the same year in Austria, the Workers May Day marches had been banned by its Austrofascist government. Instead, the Viennese workers went for walks in the main streets of their districts and similar walks took place in other Austrian cities, too. On May 21, 1933, the photo of the march in Aš was printed in the Kuckuck—a weekly magazine by the Social Democratic publishing house Vorwärts. 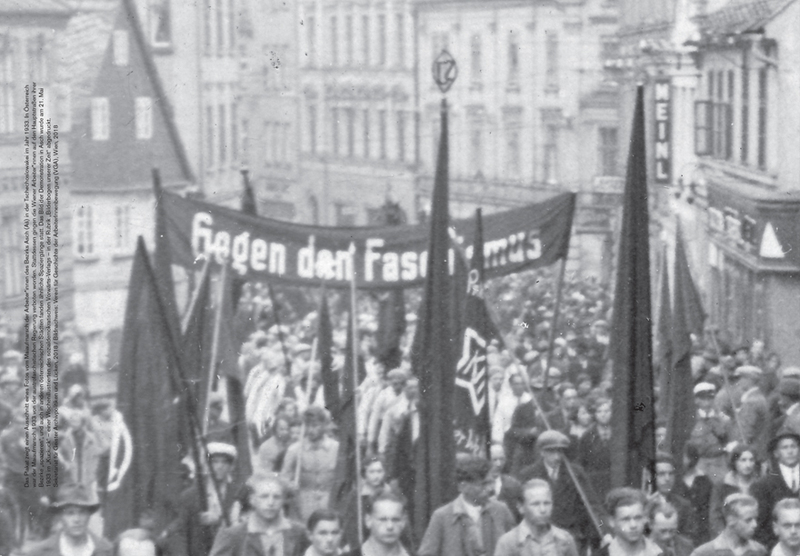 On the photo, the protest banner reads GEGEN FASCHISMUS, “AGAINST FASCISM” in English. 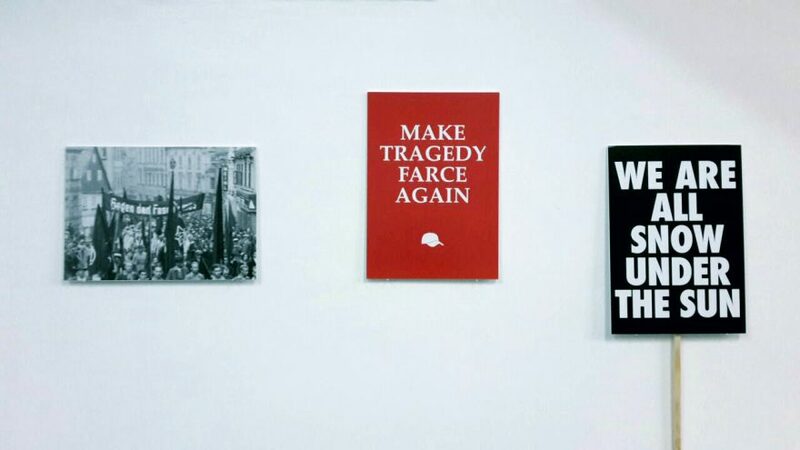 AGAINST FASCISM was part of the exhibition Current signs, curated by Enar de Dios Rodriguez, weisses haus, Vienna, 2018.